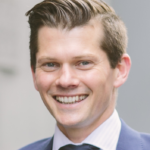 As a research strategist, Dr Richard Huysmans is an expert in helping researchers get the best out of their training, their research and their career. He has a 70% grant success rate and a 100% success rate for establishing research centres and institutes. His clients include the Department of Health and Human Services, University of Queensland, University of Sydney, University of Melbourne and Monash University. He is focused on research translation and together with Jane Anderson, is the only consultant training researchers How to make their LinkedIn profile (research) translation ready, for greater research impact and industry engagement. A program that has helped researchers raise over $250,000 in direct industry funding. Dr Huysmans undertook his PhD in Biochemistry and Molecular Biology, before turning his hand to research strategy and program development. In 2008, he established Raven Consulting Group. Since that time he has been delivering high quality strategic advice to the education, research and government sectors, where he works with Pro-Vice Chancellors, Vice-Chancellors, Directors, Research Directors, Department and Faculty Heads, Chief Allied Health, Nursing and Medical Officers. Richard is driven by the challenge of helping researchers be commercially smart. His strategic approach to collaboration and research translation has been making the impossible possible for more than eight years. His clients appreciate his cut-through approach. He knows the sector and how to turn ideas into reality.